All eligible students who complete the NSS by Monday 18 February 2019 can claim a £10 Amazon voucher. 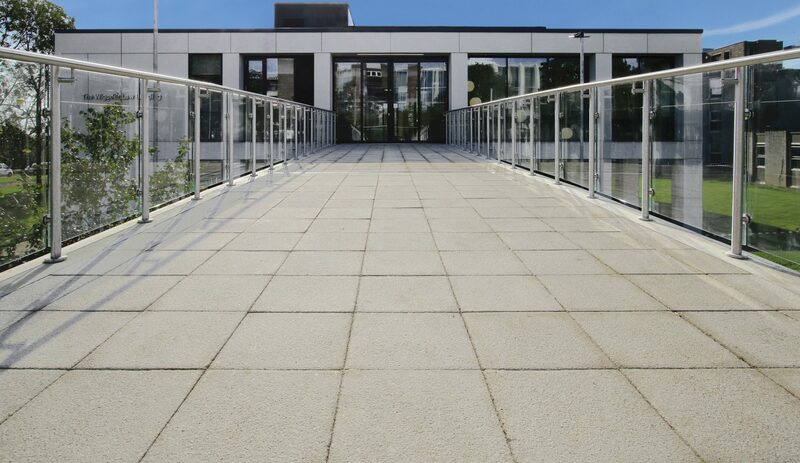 And, for Law School students, there’s also a weekly prize draw until Friday 8 March! If you’re eligible to participate in this year’s survey, you’ll receive an email invitation from Ipsos MORI on Thursday 31 January. 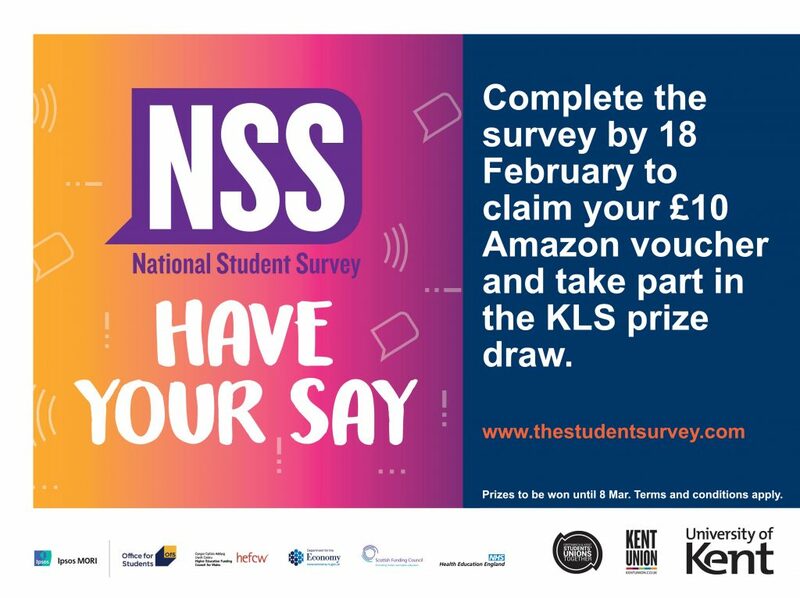 Throughout February, the University is also running the Undergraduate Survey (UGS) – the UGS is an internally run survey of all students on Undergraduate level programmes at the University of Kent (excluding those who are eligible to complete the NSS). It launches today and closes on Friday 1 March 2019. If you are eligible, you will receive an email this week from Professor April McMahon, Deputy Vice-Chancellor Education. Completing this survey helps the University understand what we do well and what we need to do better and is one of the most powerful ways you can have your voice heard at Kent.